When an appliance only offers half of what is needed there is really only one solution: glue a second one to it! 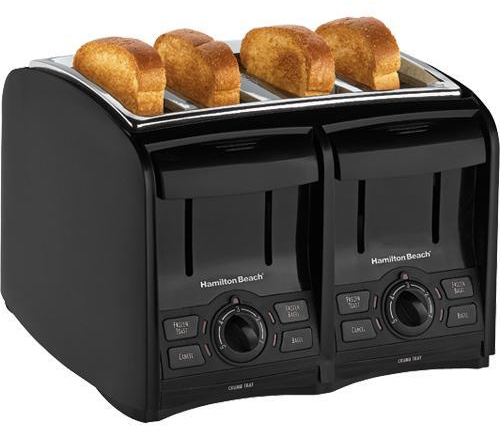 Now, that is probably not what happened to this Hamilton Beach 24121 SmartToast 4-Slice Cool Touch Toaster, but it sure looks like it. Either that or we are all seeing double–and it’s a bit early in the weekend for that.